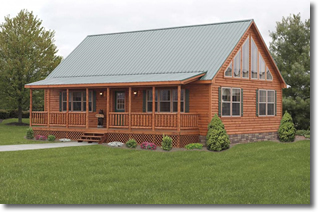 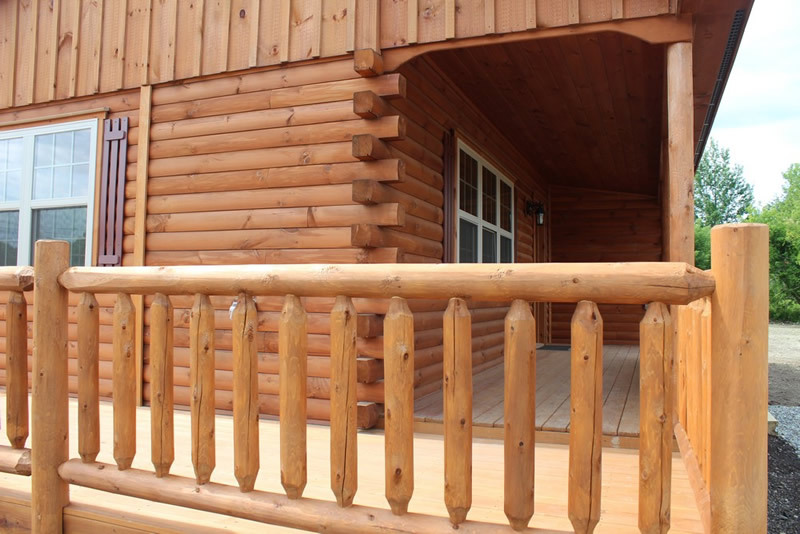 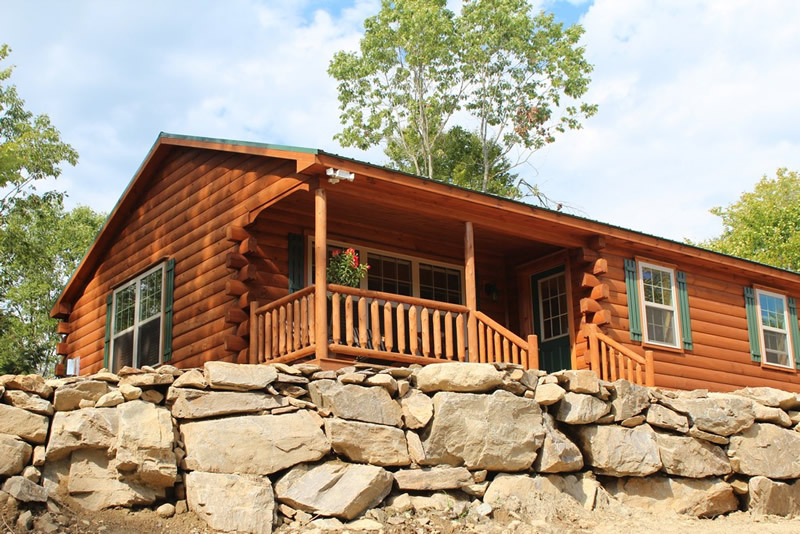 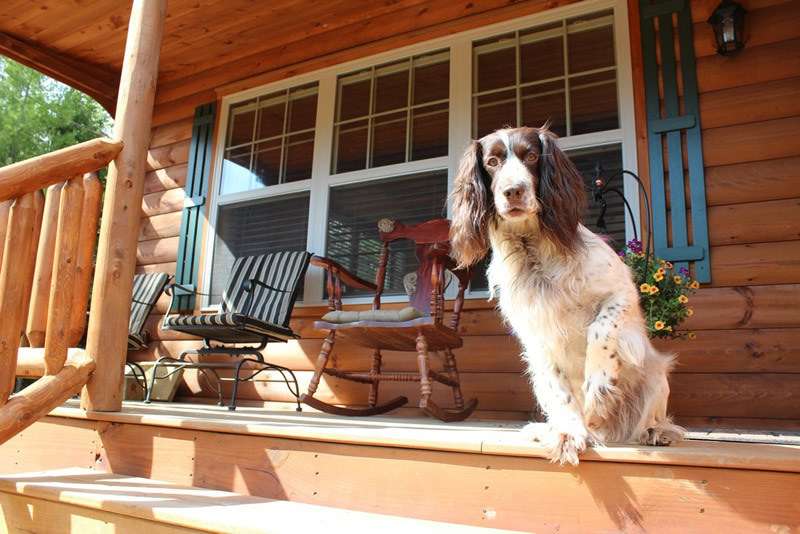 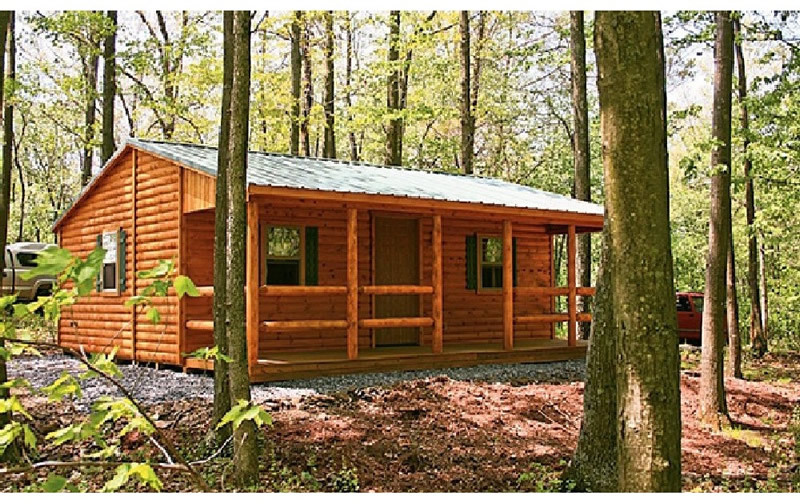 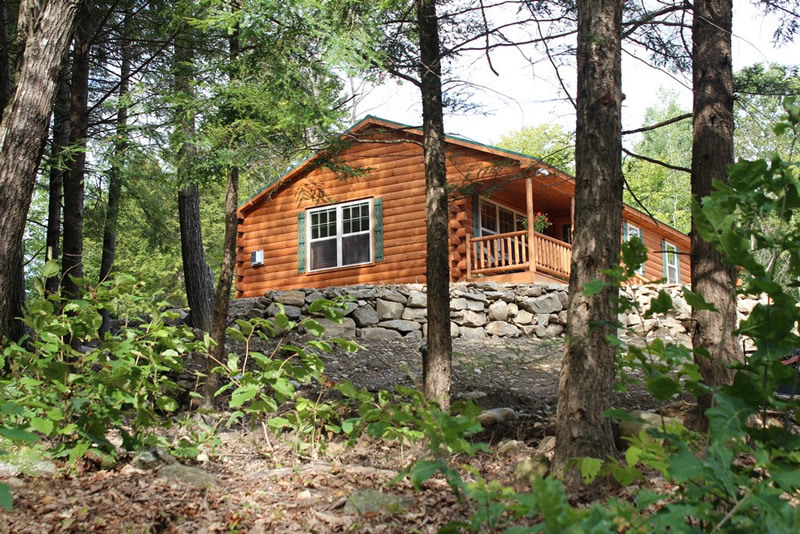 Our Mountaineer Style home gives you the traditional look of a log home with a few added features. 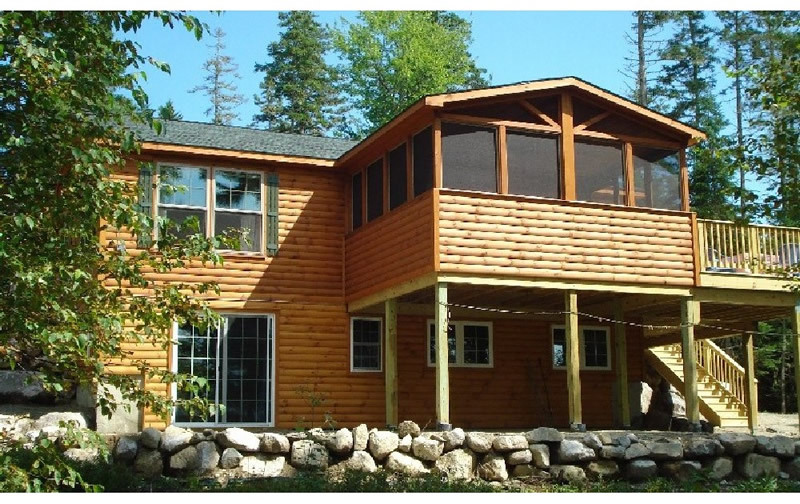 It has an attractive steep roofline, and porch reaching across the front of the home. 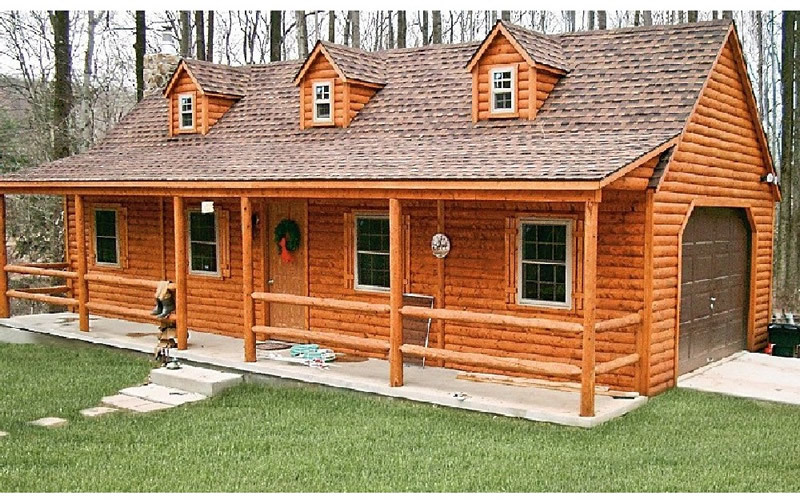 This is a home that's made for relaxing and entertaining friends and family. 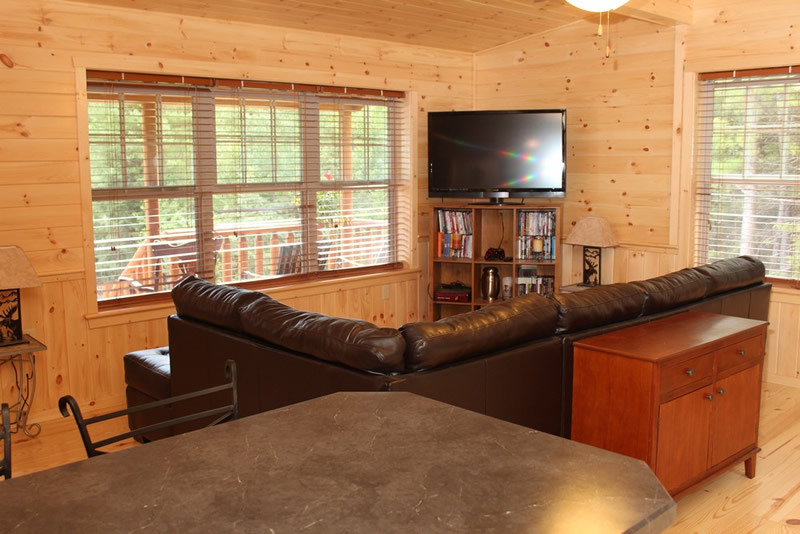 The interior is equally spacious with it's open floor plan. 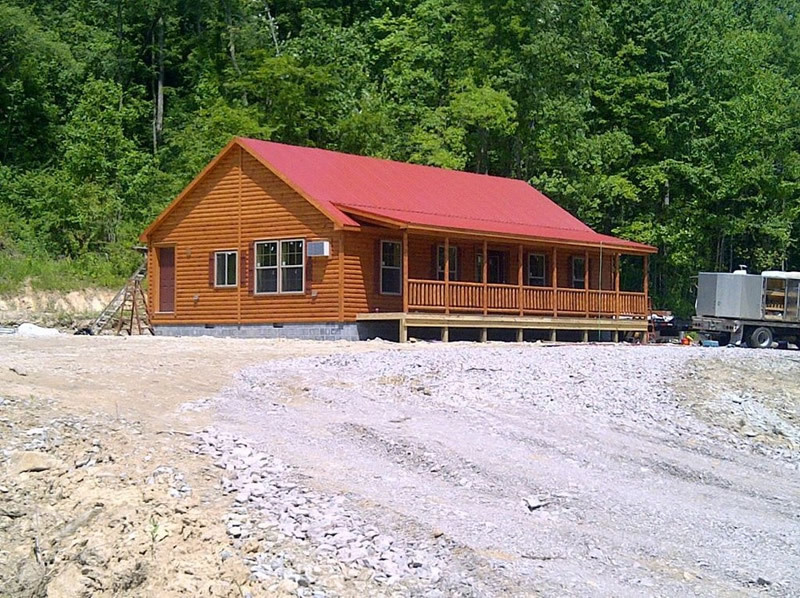 It comes as a 26' wide building and is available in lengths from 30' to 52'. 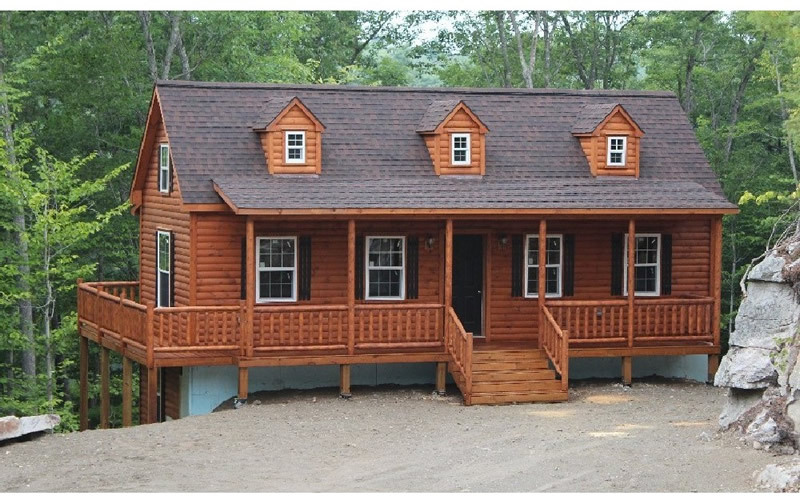 A typical layout has up to two bedrooms and bath on the first floor and a 14' wide room upstairs to finish and use for additional sleep area, office, etc. 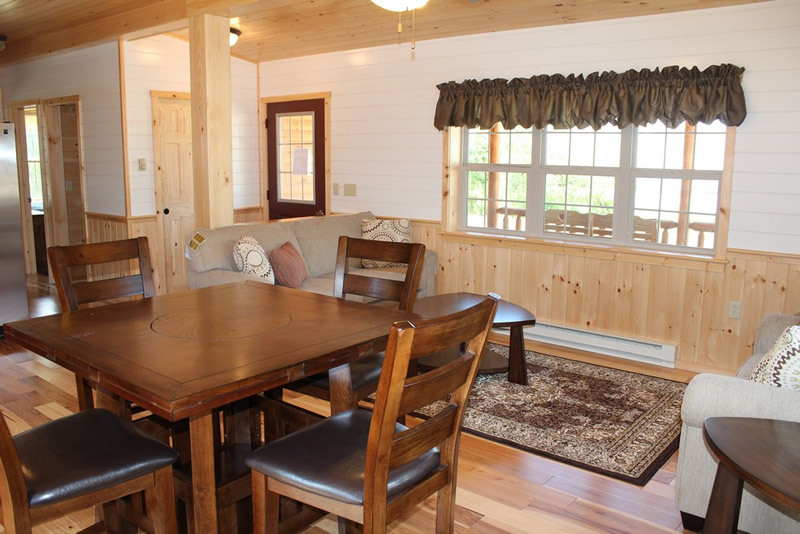 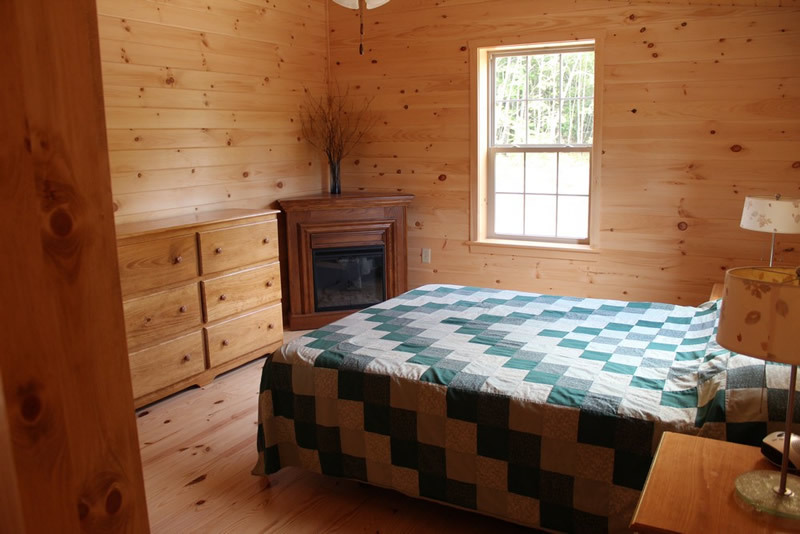 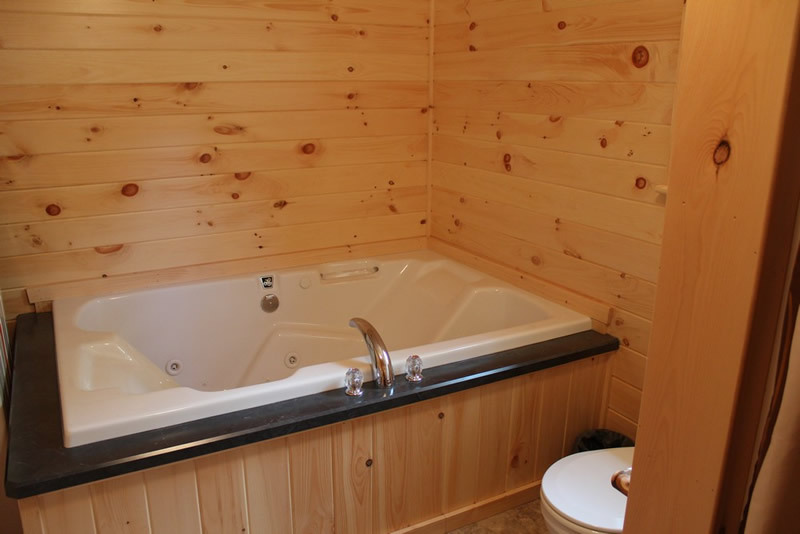 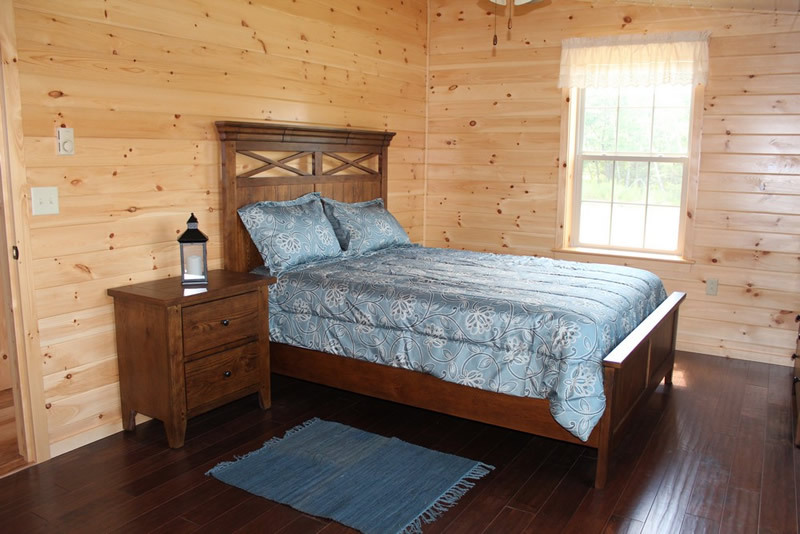 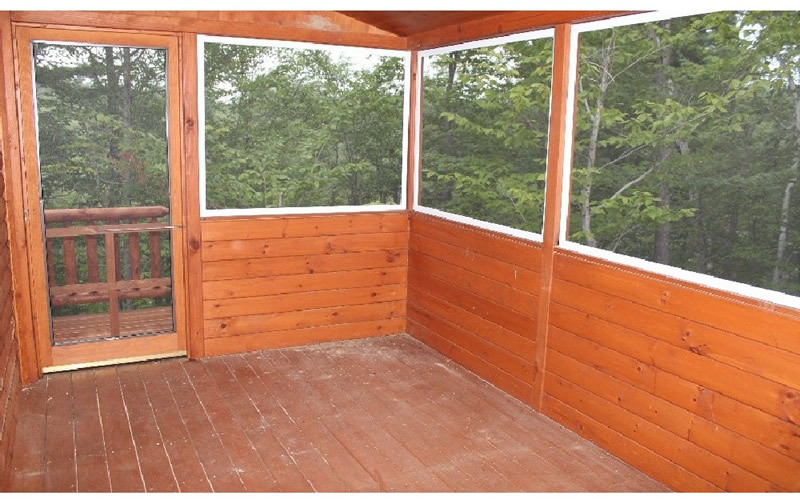 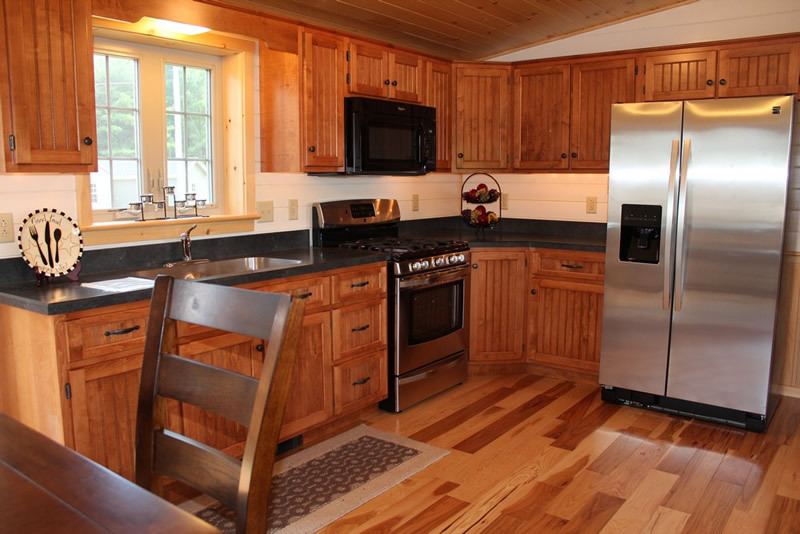 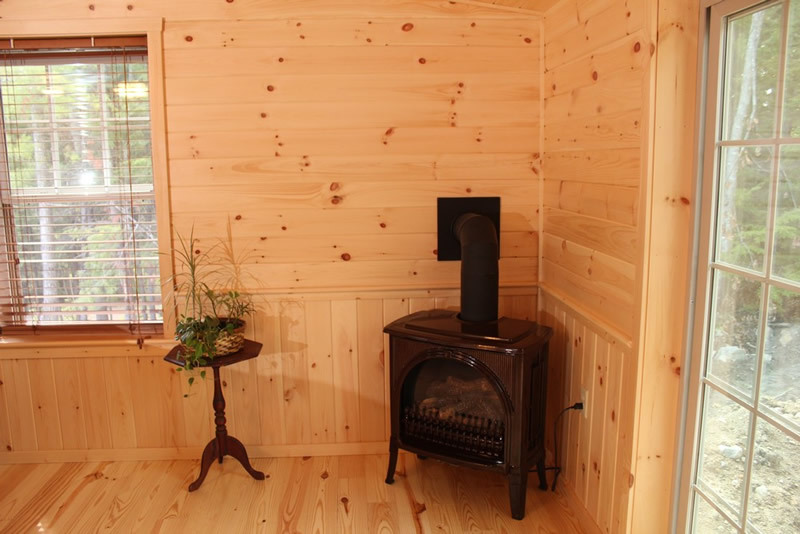 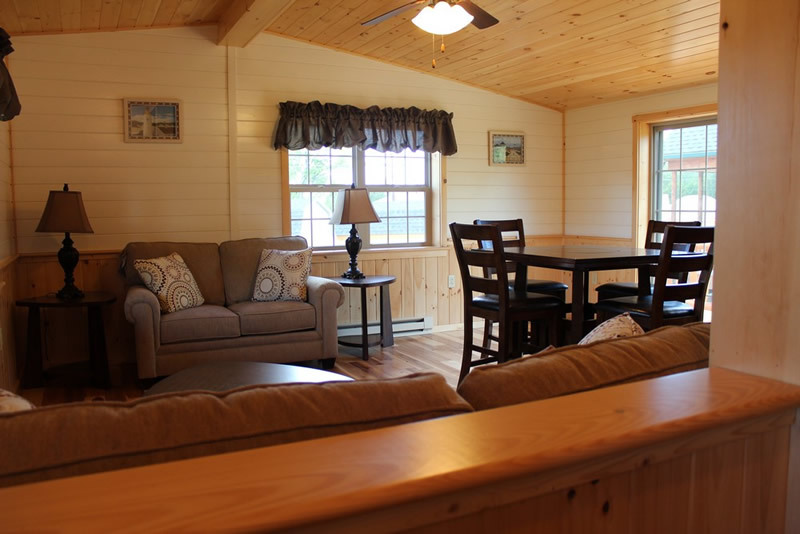 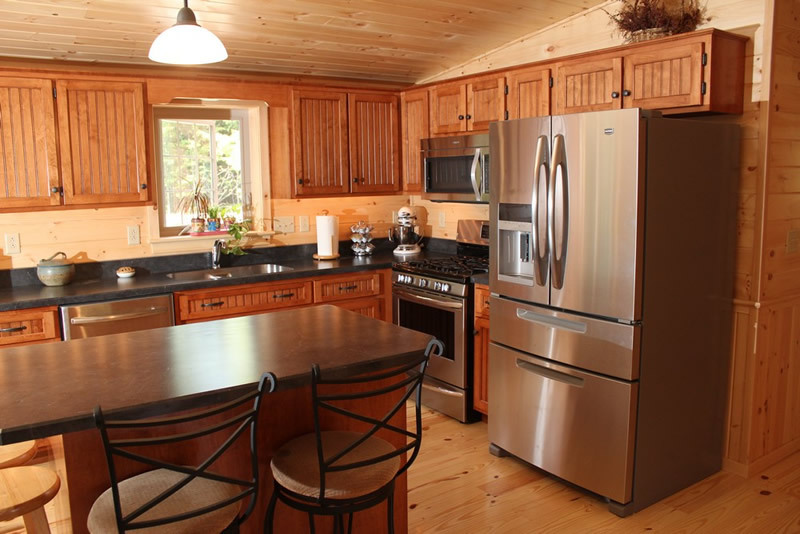 The knotty pine interior gives a warm feeling and will look better over time. 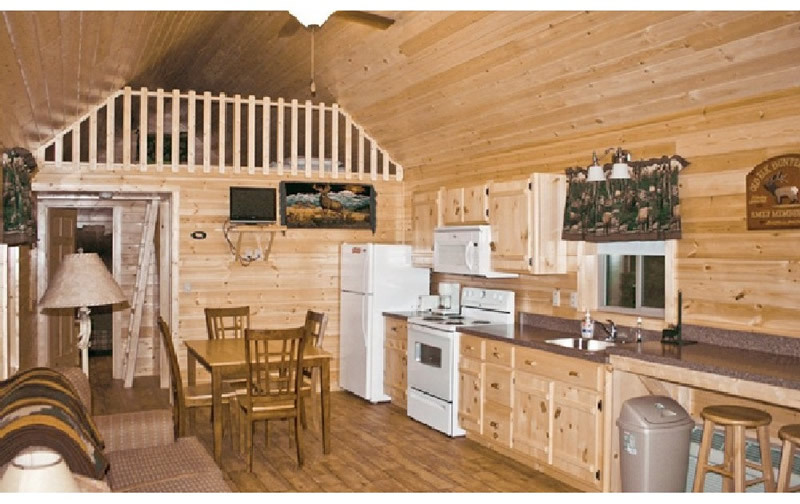 The standard Mountaineer can be made into a Deluxe model with 18' cathedral ceiling over the great room. 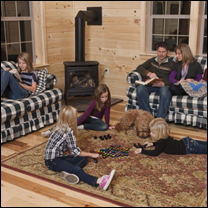 The optional Vista Glass package lets in light and is perfect for looking out at the lake, making it feel even more spacious and enjoyable.